They needed some extra people to represent at the career day and thefatcontroller got the call up just as the scraping sound emanated from the bottom of the barrel. Nevertheless, TTTE always likes to provide value and thus I offered not one, but a choice of two careers – bike mechanic or water policy wonk – to discuss with the kids. It turned out their choice was easy, and so last Thursday I fronted up with a bicycle and a few spare parts for show and tell. I spoke to four classes in total (grade 1, grade 2 and two grade 3s) for twenty five minutes each. The overwhelming consensus among presenters was that little kids are fairly easy to impress, but the funniest thing happened every time I asked the grade 1s and 2s if they had a question. Ten arms would immediately flail in the air and the question would be something like “My brother’s bike got a flat tyre once.” or “I have a spanner at home. And a hammer”. The teacher would explain (again) what a question is and I would be trying hard not to laugh… They just want someone to listen to their story. Now when I say ‘go’, I want everybody to stand up in complete silence, pick up their bags and slowly form a line at the door. If you can do that without anybody talking or rushing, I’ll put ten marbles in the jar*. Go. 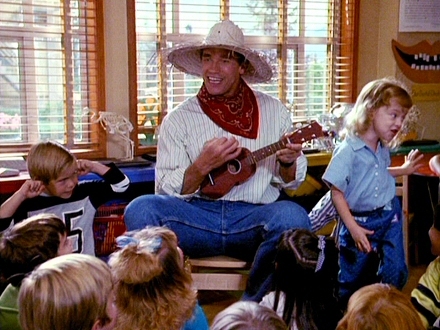 * when the jar is filled with marbles, the class has a special lunchtime party. It was amazing to watch the children efficiently file up at the doorway. I couldn’t help but wonder what would have happened if the instructions hadn’t been so specific. But it probably would have included yelling and unpleasantness. I think this demonstrates the value of preemptive discipline – I wonder if they are taught that in teacher school? Chapeau to Greenleaf Elementary and TFA. With reference to the marble reward scheme, if traffic infringements are about increasing safety, then I don’t see why a government wouldn’t knock $50 off the cost of registration if a driver made it through a year without getting fined for motoring offences. That’s some great carrot-thinking. Fantastic work TFC 🙂 Volunteer education/outreach activities like this are so valuable for students (and teachers) and are very rewarding for the volunteer too. I would encourage more people to get involved in their local community like this.